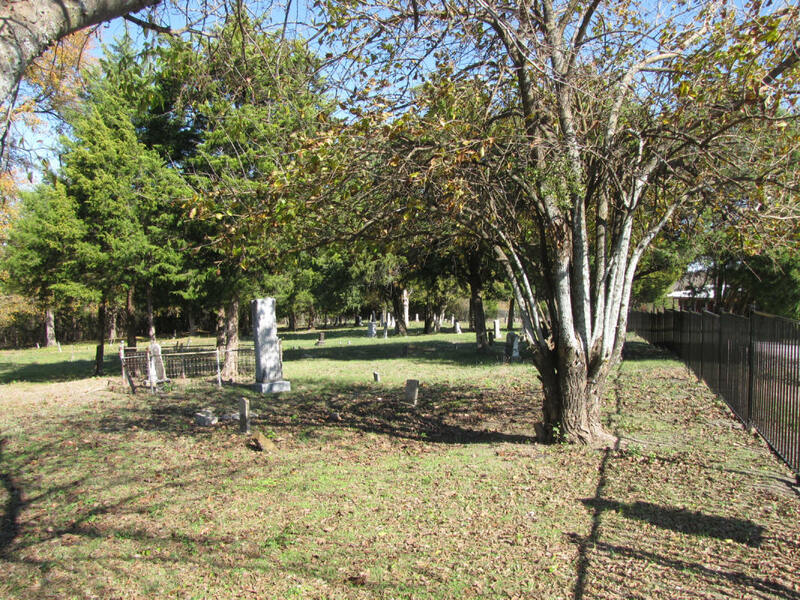 Martha T. Harless gave 3 acres of land in Vol 46, p 263, and Maston Crowford Robinson (Robertson) gave 1 ½ acres in Vol W, p 354, for the use of the Bear Creek Methodist Episcopal Church South, which was just north of the cemetery on the south bank of George Creek. The church was started around 1873 and disbanded in 1902. Most of the congregation moved to Nevada Methodist Church. The cemetery covers at least a couple of acres of land. It appears that there are between 100 and 200 graves. Most of the graves are for the late 1800's. The families are buried in groups instead of rows. The Harless family plot is north of the single gate near the road. The cemetery has a lot of empty space. It is fenced. An unmaintained road runs the length of the cemetery. 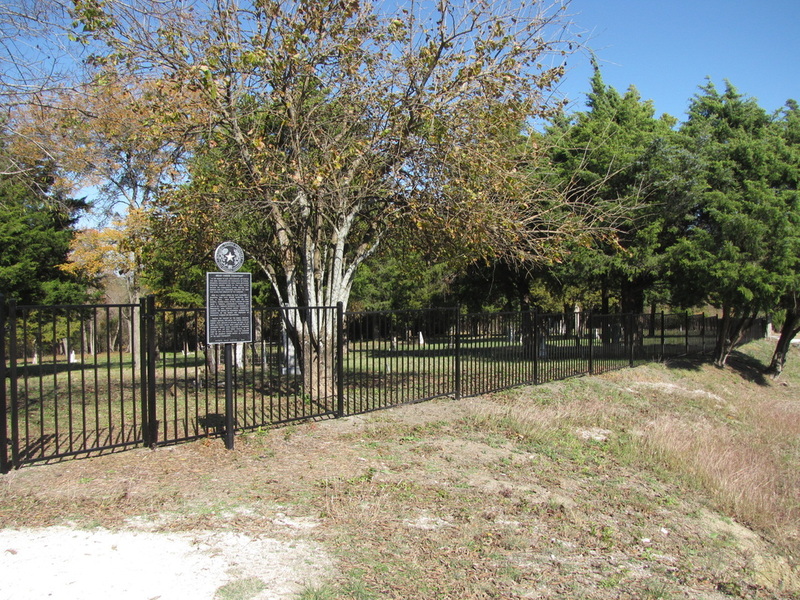 The Collin County Museum has a partial list of people buried here that calls this the Harris Cemetery. Margaret J. Harless married W. P. Harris. She died young. I do not know if that is where the Harris name came from. On some county maps this is referred to as the Haggart Cemetery. Again I do not know where the name came from. There are no Haggarts listed as buried here. this area established the community of Empire. became the community’s burial ground. H. C.
few acres for creation of the cemetery. Here, W. P. Harris buried his wife, Margaret J.
son of H. C. Harless; physician and minister J. L.
area Boy Scout troop, have cared for the site.